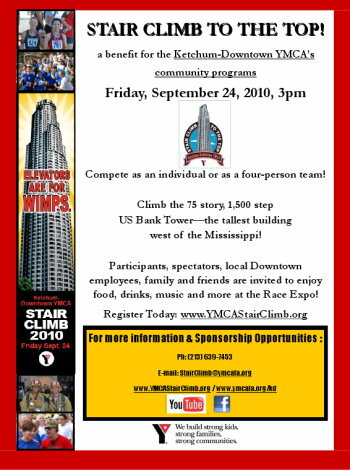 It’s time for the annual Stair Climb to the Top, up the U.S. Bank tower in downtown Los Angeles. I did this last year, posting a time of 15:07. This time, I’ve got some more experience from the Stratosphere and Aon stair climbs, and my goal is to go under 14 minutes. This will hurt a lot. It will also be great fun. As always, this is a fundraiser, this time for the YMCA in Los Angeles. So if you can, please make a small donation to them at my sponsors page. Today’s bike ride was one that John White had suggested. A meandering route to see five different houses designed by Frank Lloyd Wright. One was in Pasadena, and the rest were in the Hollywood and Los Feliz areas. It was a perfect day for riding. We started out from Victory Park and headed west. Near the Rose Bowl, we took our first detour to see La Miniatura. 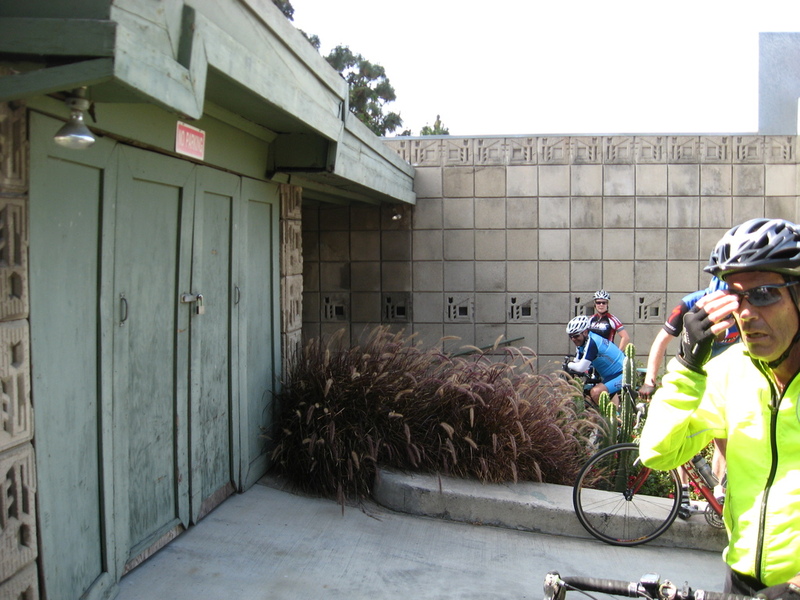 Continuing on, we went south through Eagle Rock, across the L.A. River and into Silver Lake. 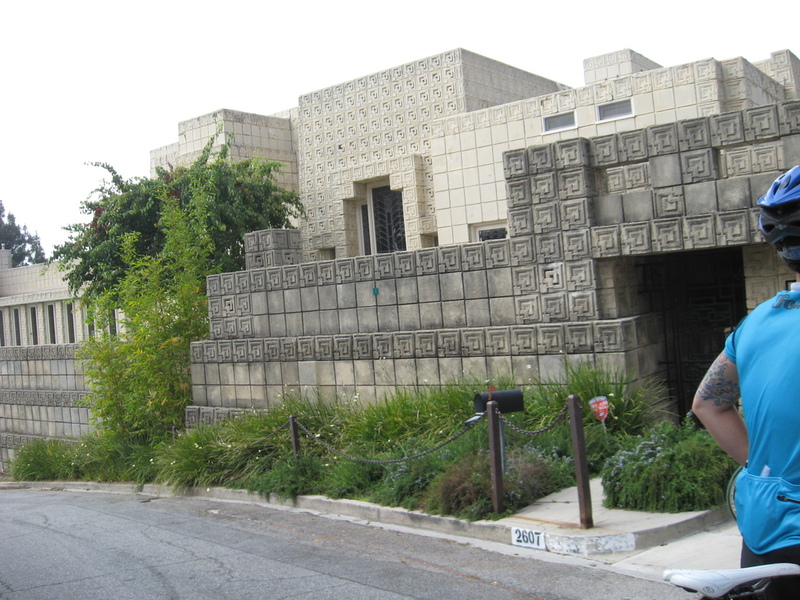 Our second stop was the Ennis House, high up the hill just below Griffith Park. Next, we turned around and headed back down the steep hill we’d just climbed, and all the way down to Hollywood Blvd and Barnsdall Park. 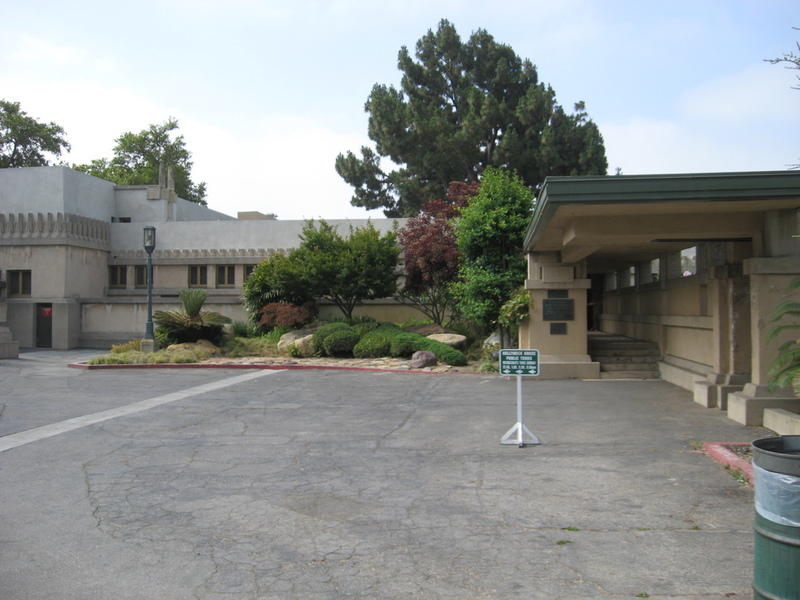 This is the site of the Hollyhock House. From there, we went west into Hollywood, and turned north up the hill behind the Chinese Theater. After another steep climb, we came to the Freeman House. This one is very near the house we went to see in 2006 on another architecture tour. 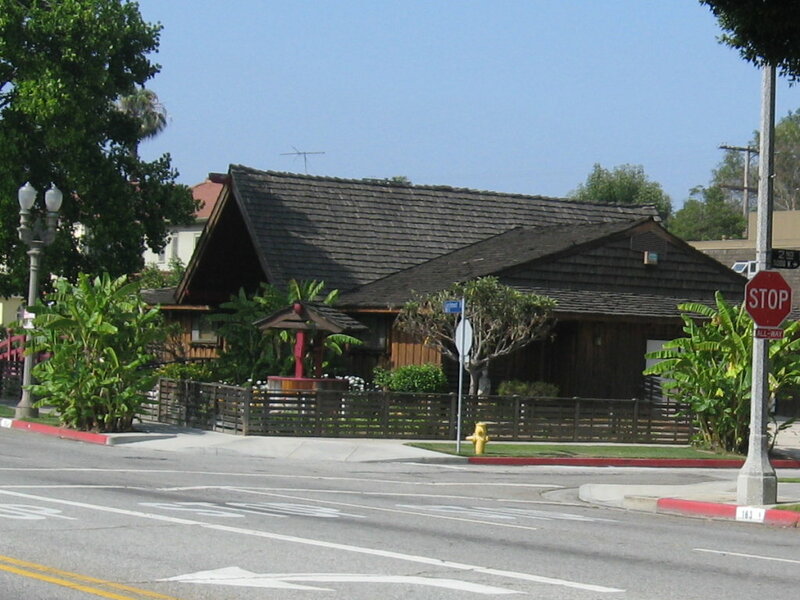 There was only one more house to see, and it was on Hollywood Blvd, but on the far western end, where it winds its way up into the hills above the Sunset Strip. 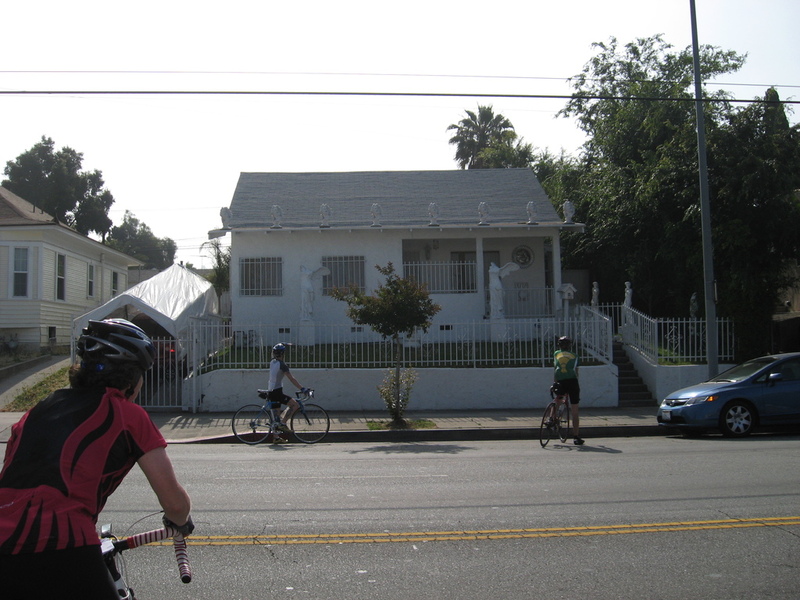 We rode just a short distance on Sunset Blvd before turning and heading up the steep hill to get to the Storer House. At this point, we’d seen all five houses, and it was time to climb up and over the hills to get to our snack stop at the little gelato place on Tujunga Ave in Studio City. 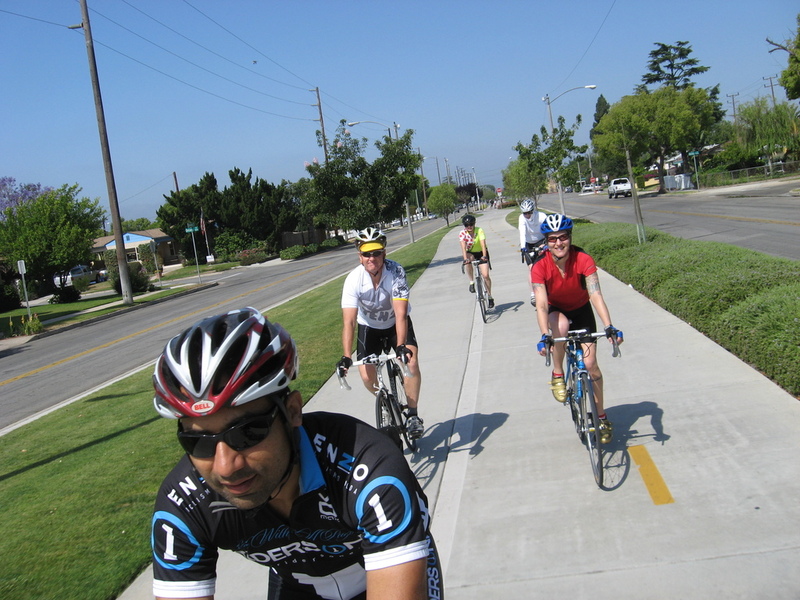 We rode Hollywood Blvd all the way to its end near the top of Sunset Plaza. Along the way, we saw an abandoned couch. Couches don’t usually end up out in the street in neighborhoods like that, but there it was. At the top, I got my picture taken with an ostrich statue in front of a house that had a whole collection of animal sculptures. 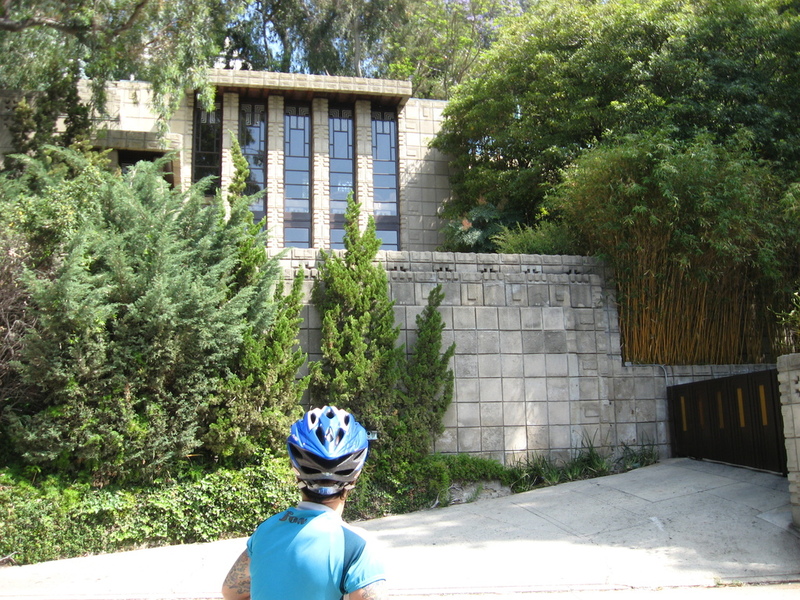 We continued on, down into Laurel Canyon and up to Mulholland Drive. 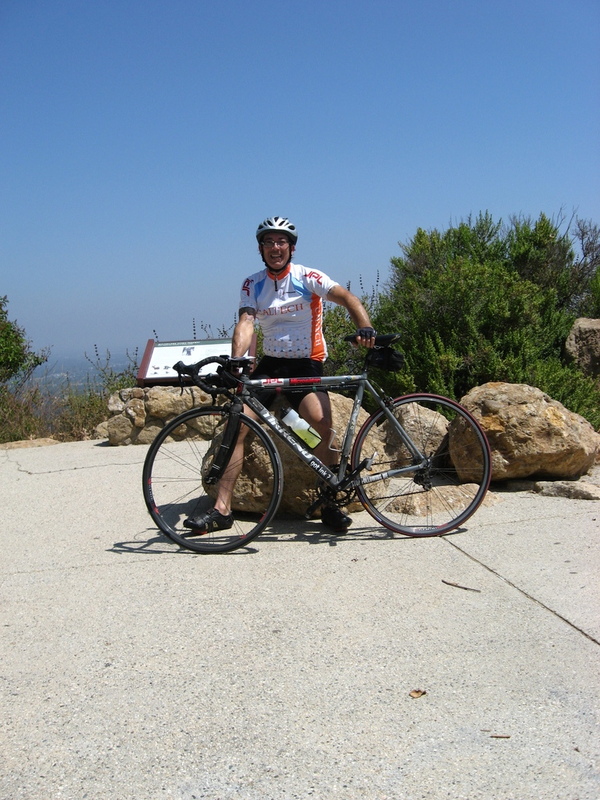 We stopped for water at the Fryman Canyon overlook and then headed down the other side into the Valley. We had gelato in Studio City, and then headed for home. 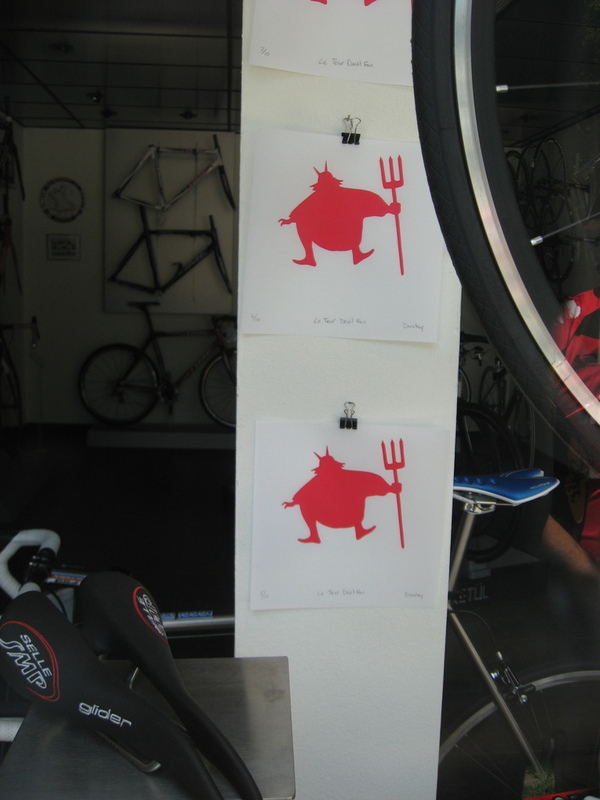 We stopped briefly at Velo Studio in Burbank to see some of Keira’s artwork on display there. Then we headed home through Glendale, where I got a flat. Thursday was the last day for school for Lucinda, and her last day of elementary school. She’s off to middle school next year. So of course, that meant it was time for another trip to Disneyland. We went down there and met our friend Mike, who let us in with his pass. He’s been telling Lucinda that she should try riding California Screamin’. He’s been telling her that for at least a year, but so far she hadn’t done it. I rode it back in May just so I could tell her what it was like. I thought that today would be the day. 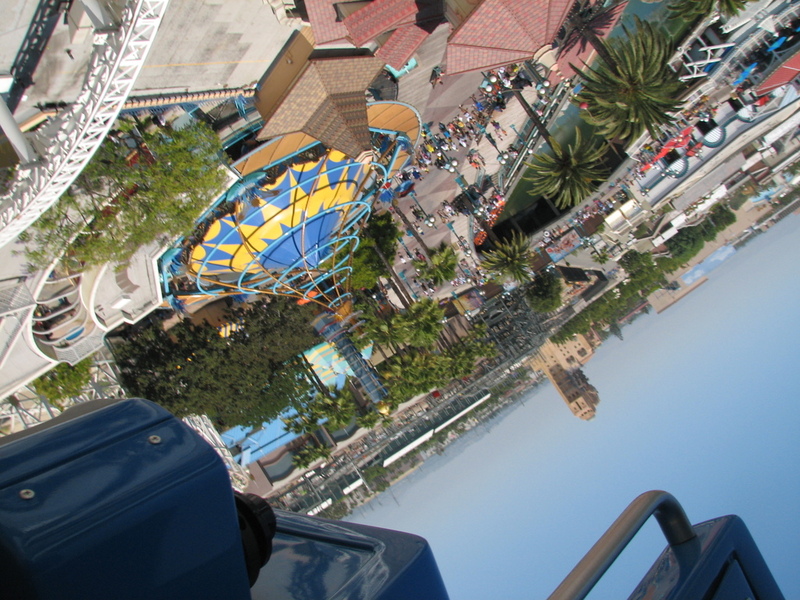 When we got back there, I got us Fast Passes for it, and then we went to ride Mulholland Madness. That’s a kind of silly little rollercoaster, and it’s kind of rough. The brakes on it are very harsh. 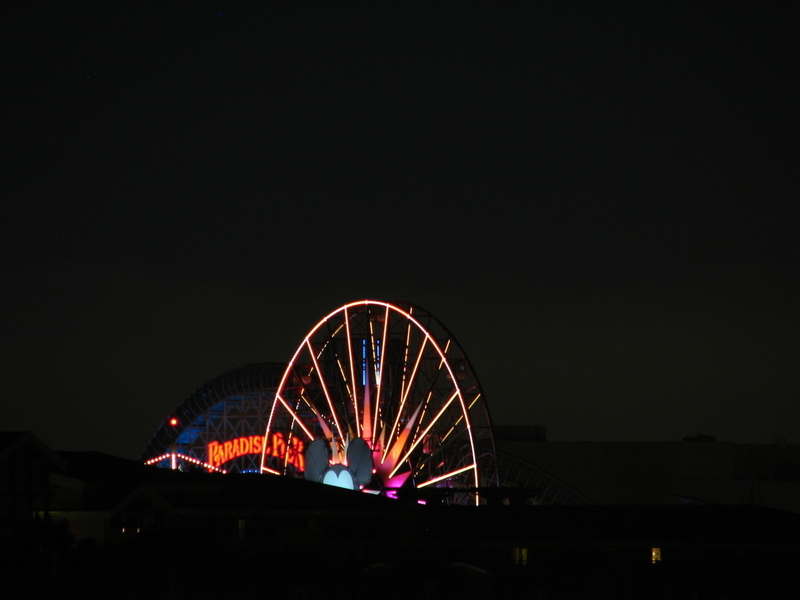 But with that as a warmup, we headed back to California Screamin’. We went through the short line and got on. But at the last minute, Lucinda got cold feet and walked across to the exit platform. So it was just me and Maddy. I got out my camera and we were off. The first ride was a bit weird, since at one point I looked down and saw that my hat, which was on the floor by my feet was missing its band. I thought it had been blown off by the wind, so I spent the last 2/3 of the ride reaching down there trying to find it. So I kind of missed most of the ride. In the end, it turned out that the hatband had come off, but it was sewed to the hat on one side, so it didn’t get lost. Of course, this meant we had to ride it again. 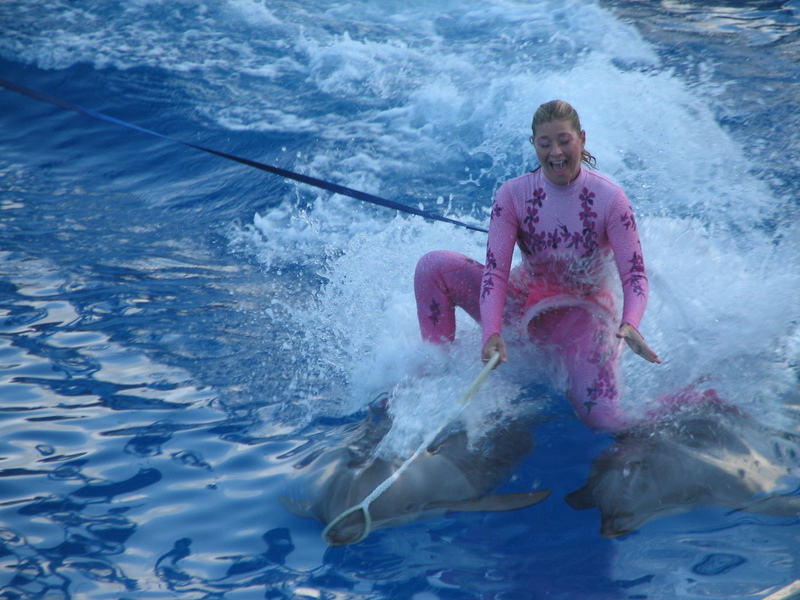 The second time, Lucinda almost sat down to ride, but at the last second she walked across. She said she would ride it for sure the next time we come. In the meantime, I put my hat in the little pouch in front of the seat, so I knew it was secure, and I could pay attention to what was going on this time. I had one weird introspective moment when we were going down the big second hill. 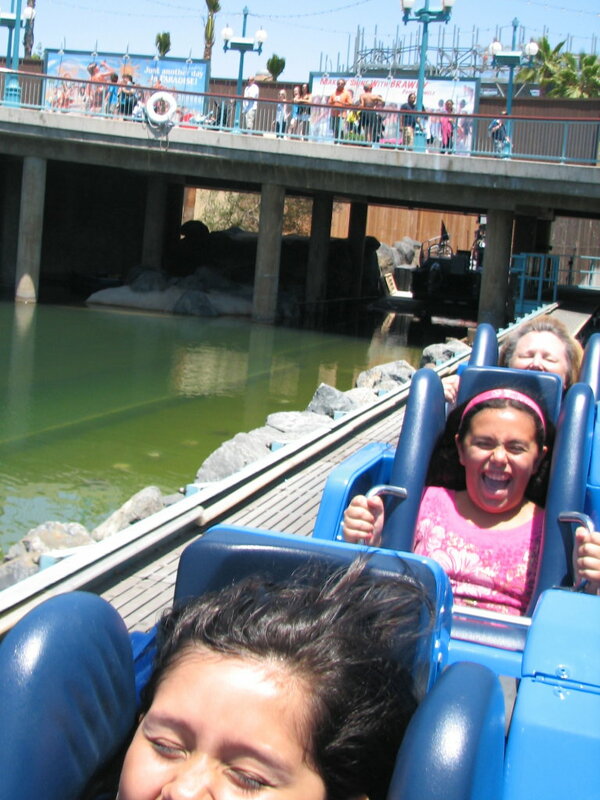 I was thinking, “I used to hate rides like this. 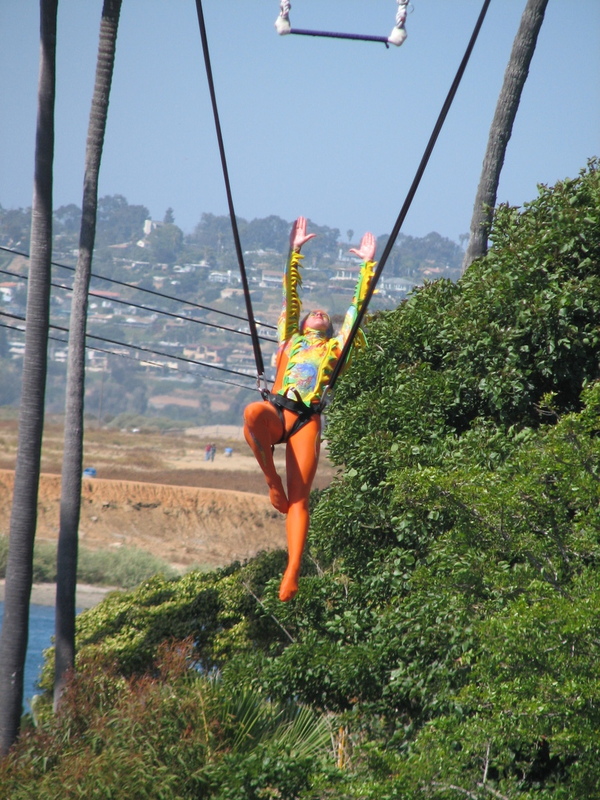 But now… Wheeeeee!! !” I had the camera out to get an upside-down picture on the loop, and I also made a point to look out to the side just to watch the world flip over. That was novel. After that, we walked over to Disneyland and rode the Matterhorn. While the girls waited in the line, I walked over to Space Mountain to get Fast Passes, but they were giving ones for 10:00 that night already. So I knew that if we were going to ride it, we’d just have to bite the proverbial bullet and wait in line. Which we did. And it was a fun time, even if we did have to wait 45 minutes for it. Next, we rode Big Thunder Mountain twice, once through Pirates, and even did the Indiana Jones ride. Lucinda had done that one once before, about two years ago, and she didn’t like it then. But this time she thought it was all right. Finally, after the requisite stop in the gift shop, we headed over the the Jazz Kitchen for dinner and a souvenir photo. I signed up today for the stair climb up the Willis Tower in Chicago. 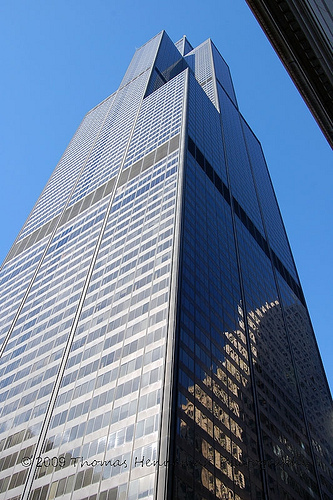 This is the building that used to be the Sears Tower, and it’s the tallest building in the United States. It’s almost 1 1/2 times the height of the U.S. Bank tower here in L.A.
Based on my time at Aon in April, I think I should be able to climb the Willis in just a bit under 20 minutes, which seems respectable compared to last year’s results. This should be fun. And as always, it’s a fund-raiser for charity, so if you can, please make a small donation in my name to the Rehabilitation Institute of Chicago. 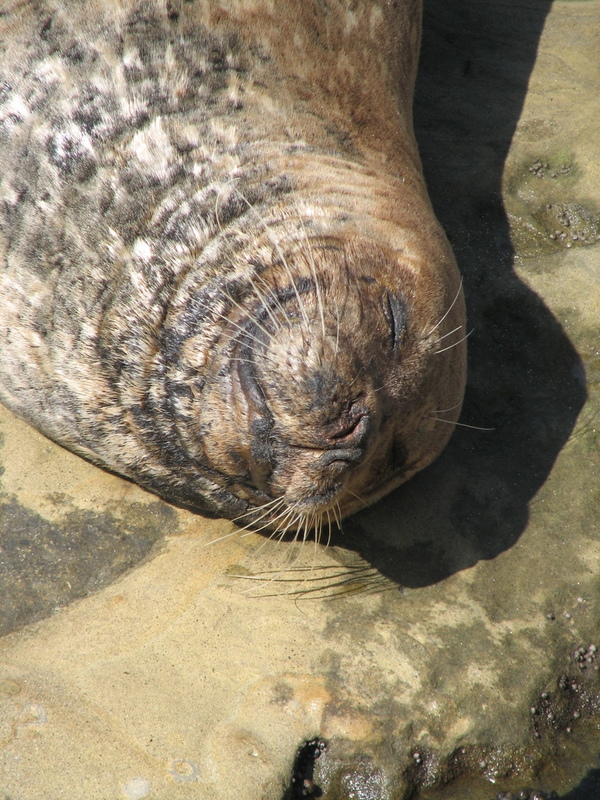 On Sunday morning, I took Lucinda down to La Jolla Cove to see the seals. 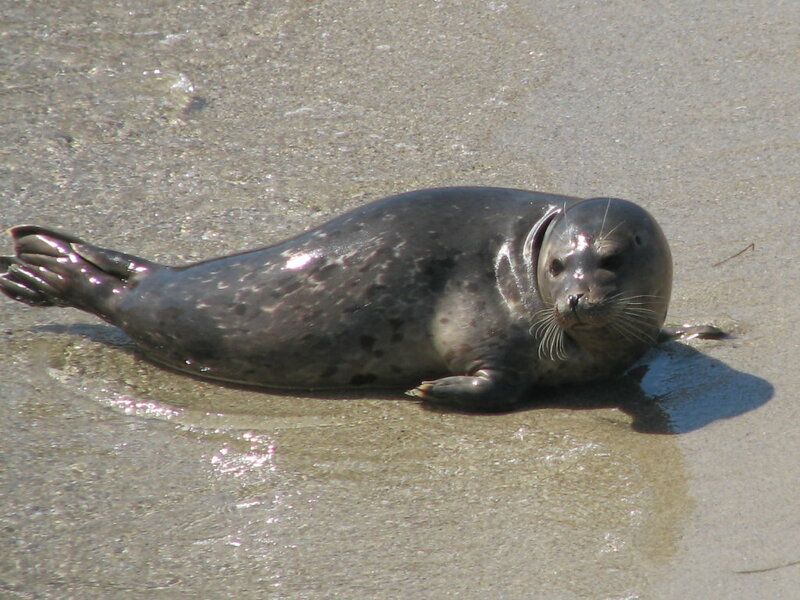 We go to see them every time we are in San Diego. 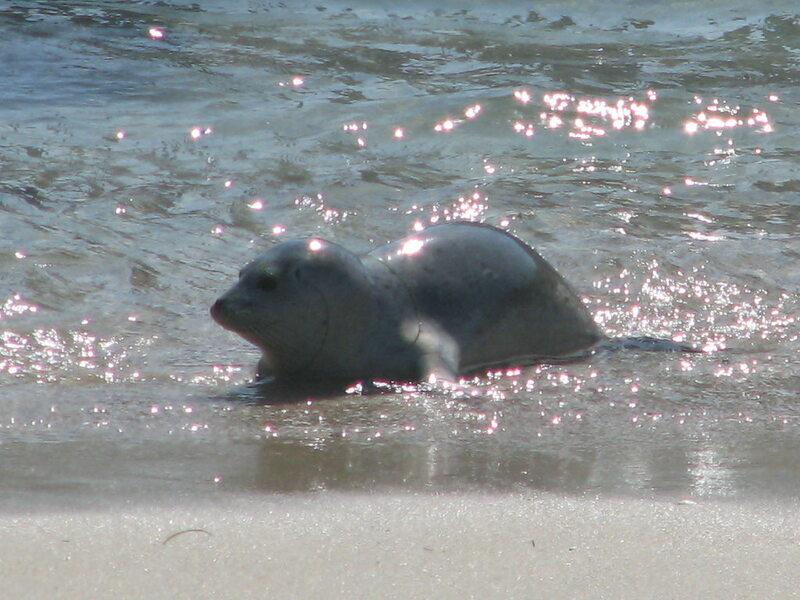 This time most of them had gone in the water to forage by the time we got there, but there were several swimming hear the beach, and also a few still sleeping on the rocks. 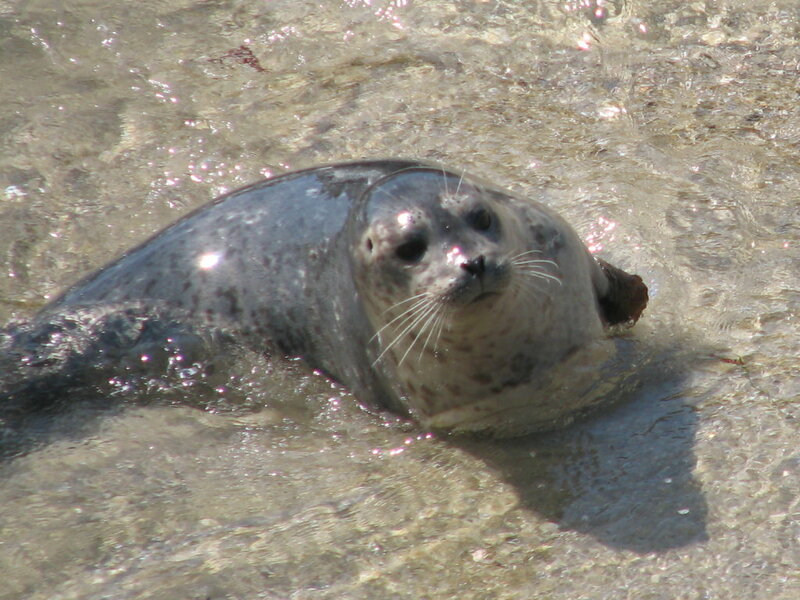 We watched them from the breakwater for a while, and I got some good pictures. As always, my camera rocks. When we left the beach, we went back to Sunny Jim cave and took the walk down the stairs to see the waves in the cave. 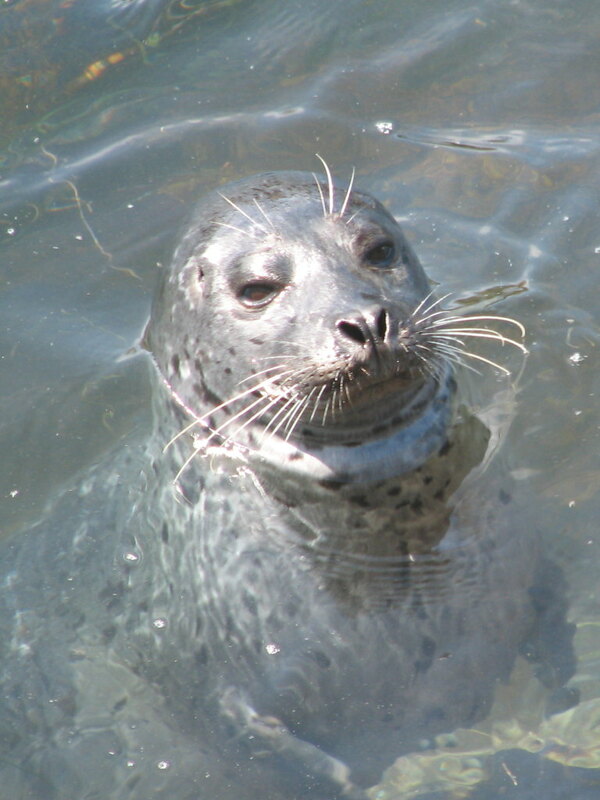 When we were in there, we could hear some sea lions nearby. They sounded like they were in the cave, but we couldn’t see them. Finally, we went and picked up Grandpa and we all went to lunch at Costa Brava in Pacific Beach. This is a Spanish restaurant, and it was quite good. Lucinda and I went to San Diego this weekend to visit with Grandpa and also to visit Sea World and also go see the seals at La Jolla Cove. 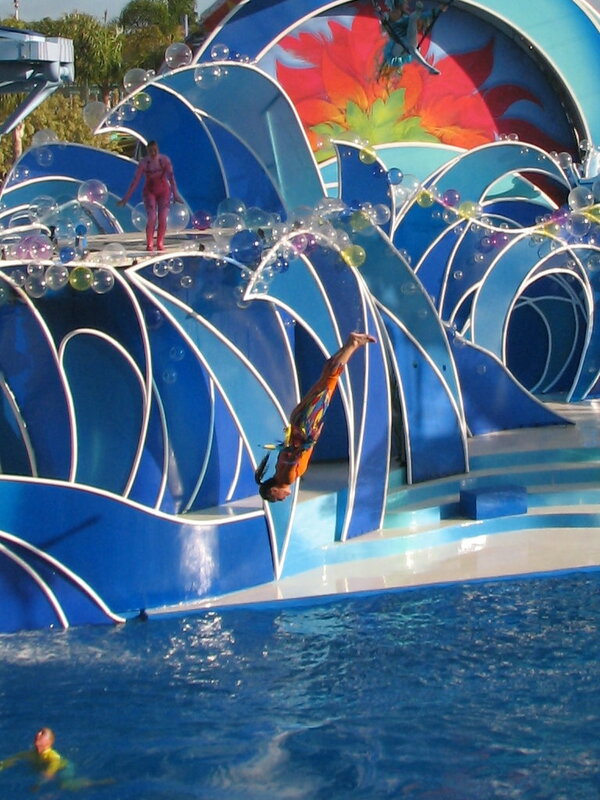 We went down on Saturday and went to Sea World first. 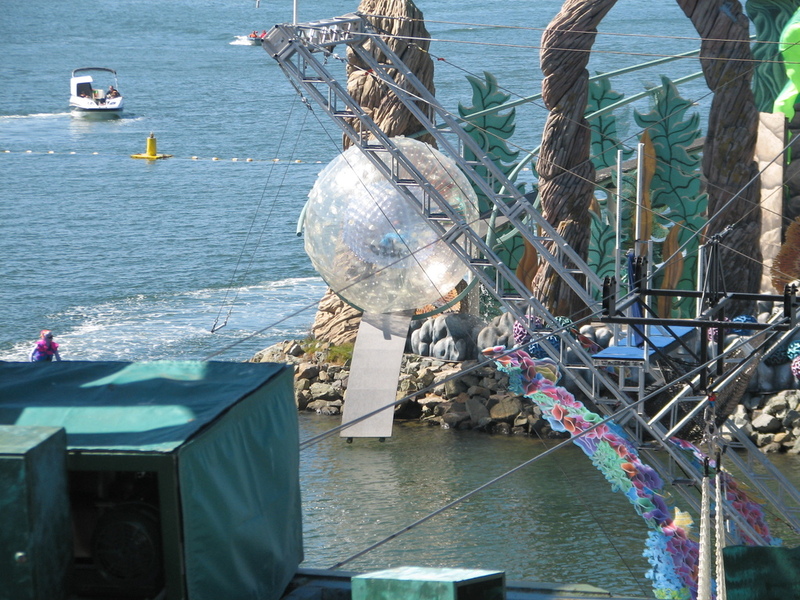 We rode the sky ride, and while we were on that, we noticed the big stadium they have facing out on to Mission Bay. 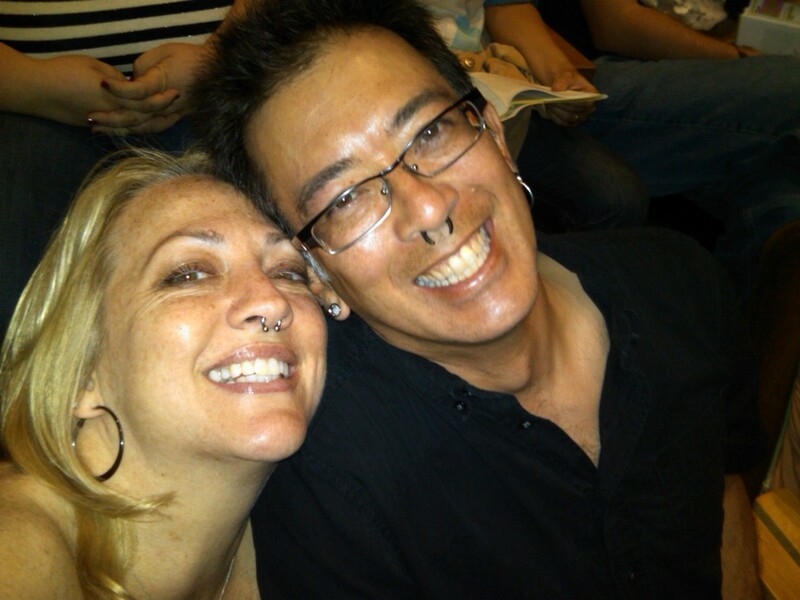 We hadn’t noticed that before, so we decided to go see the show there. It was a show that was entirely circus acts, with no animals at all. Aside from the obvious caveat that humans are indeed animals. 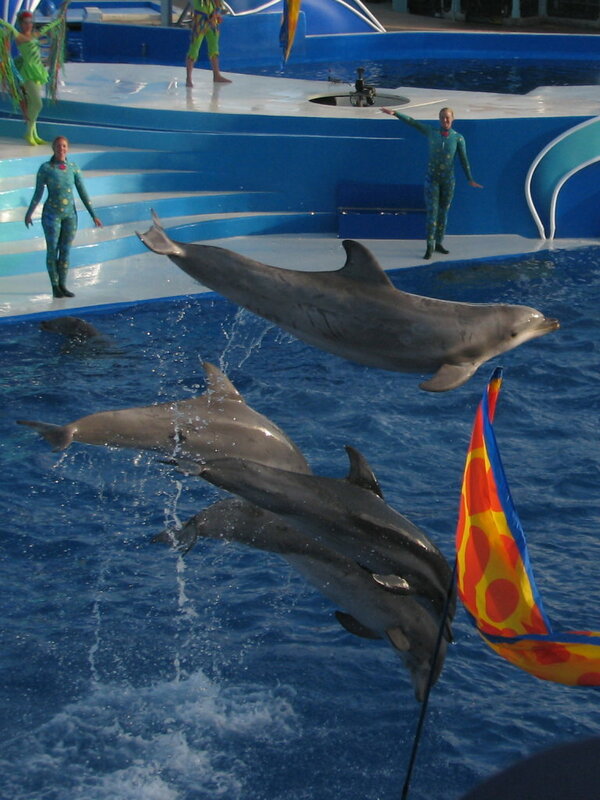 It was still pretty entertaining, even though there were no leaping dolphins. 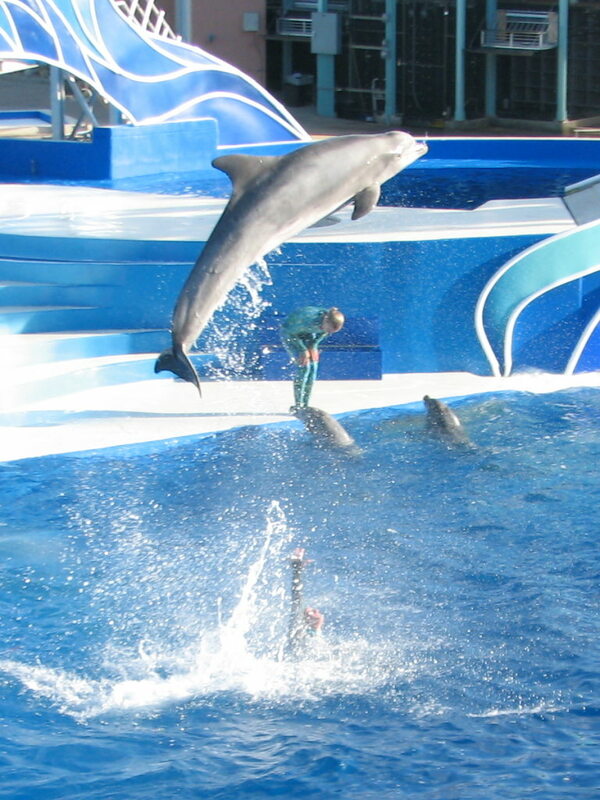 A bit later in the day we went to see the “Blue Horizons” show, which also had a lot of circus acrobatics, but this time with the addition of dolphins and a pilot whale. I took a bunch of pictures in search of some dramatic action shots, and I think I got some good ones. When we left, we went to visit with Grandpa for a bit before bed. Overall, it was a fun afternoon. 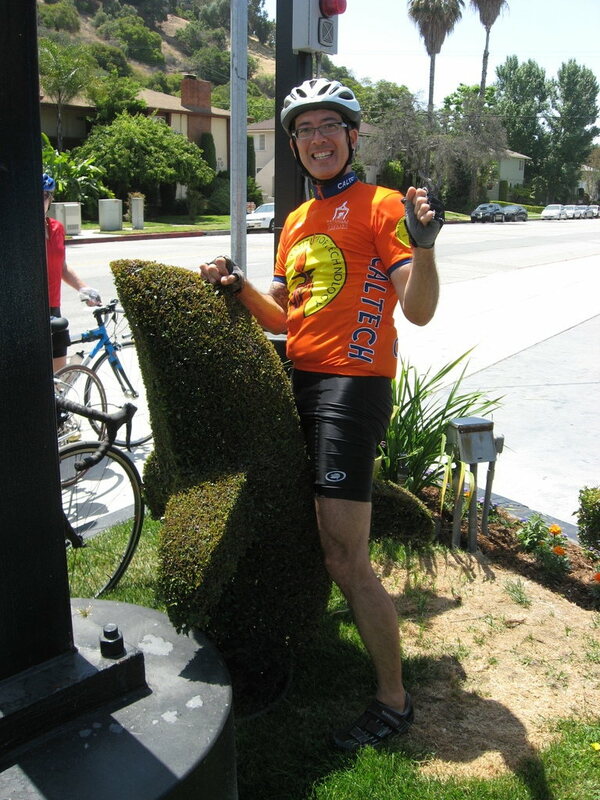 About a year ago, I had the idea of putting together a theme ride to see examples of topiary, since I’d seen a number of them here in Pasadena and as far east as Glendora. We did this tour back in March. 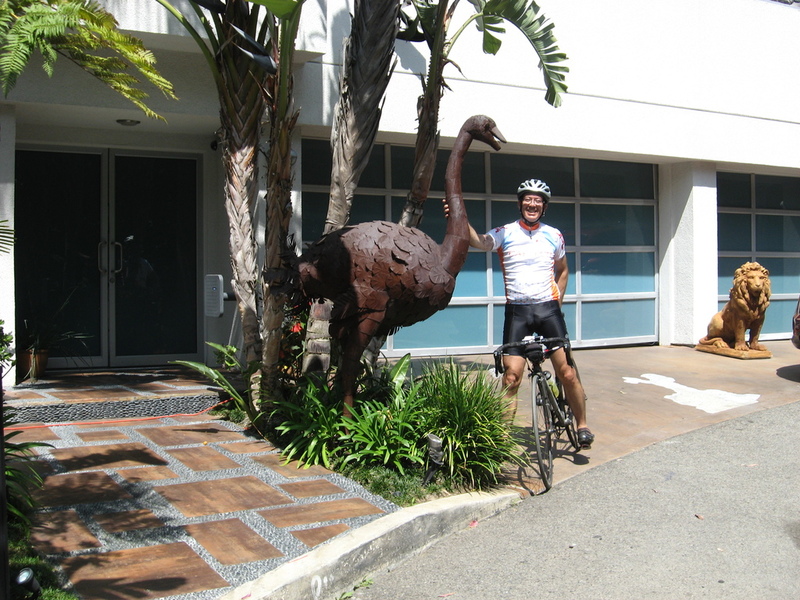 Then we discovered a new piece in Glendale, and I started to think about making a second Topiary Tour. And after some pointers from friends, one tip from Google, and an accidental discovery, I had enough examples to put together a second Tour. So today was the day. 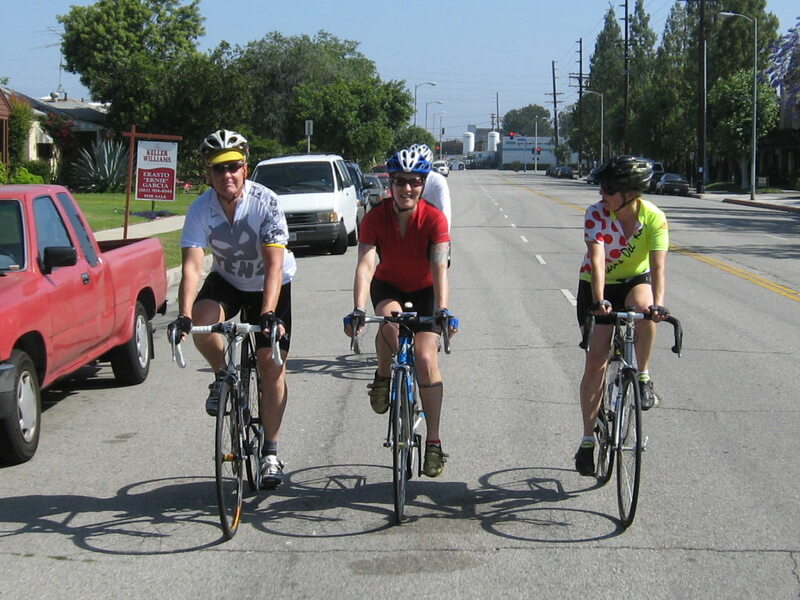 We headed out across Eagle Rock and Glendale and into Burbank. 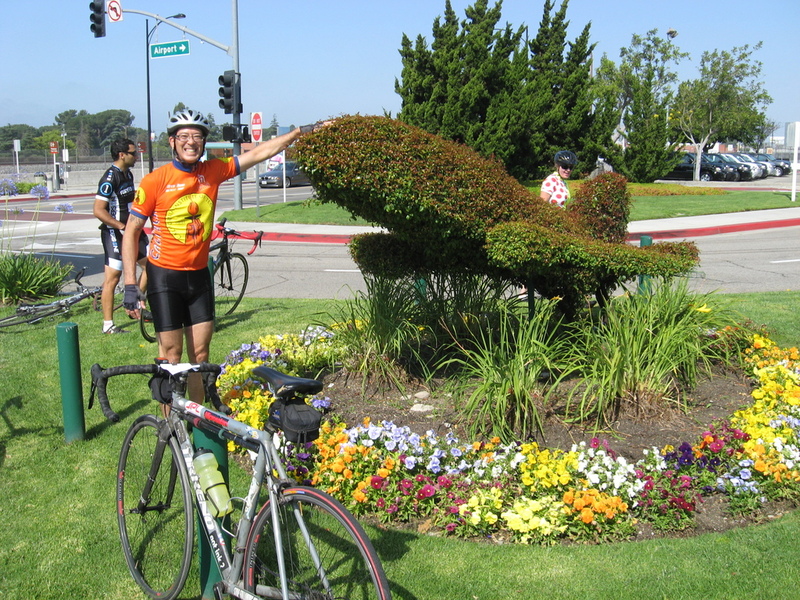 Then we turned west and headed to the south entrance to Burbank Airport, where there is a topiary airplane. 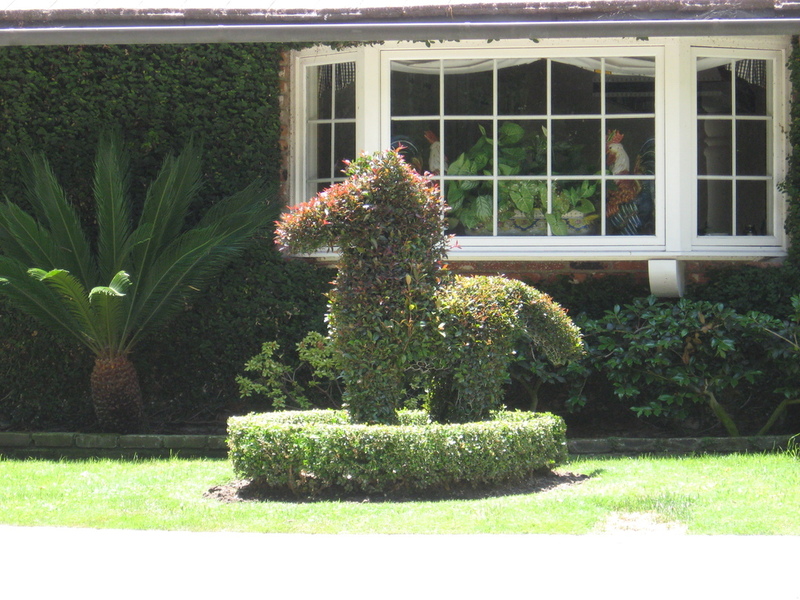 It was a pretty good example of topiary. Leaving the airport, we headed south to our next stop. But along the way, I spotted a sort of cartoon lizard in a car peeking over a fence. 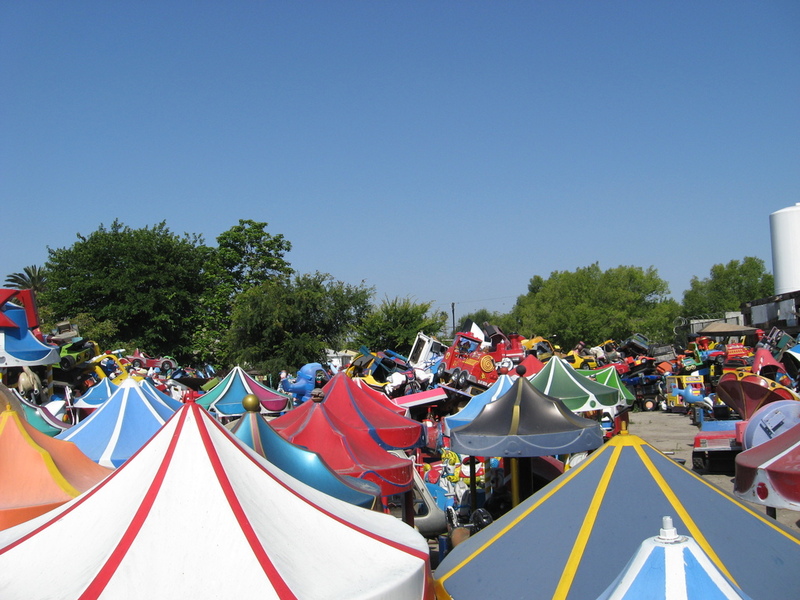 So we stopped for a look and found a boneyard of carnival rides. That was very deeply weird, and really pretty entertaining. Continuing south, we got to our second stop. 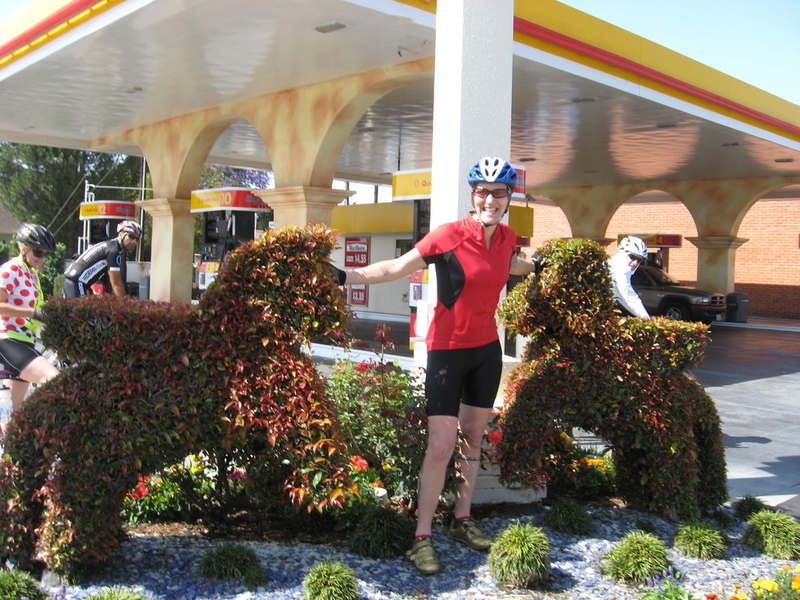 A Shell gas station in Burbank with a topiary sea serpent and two winged horses. They looked a bit like My Little Pony with wings. The serpent was a bit sparse, but the others were pretty good. 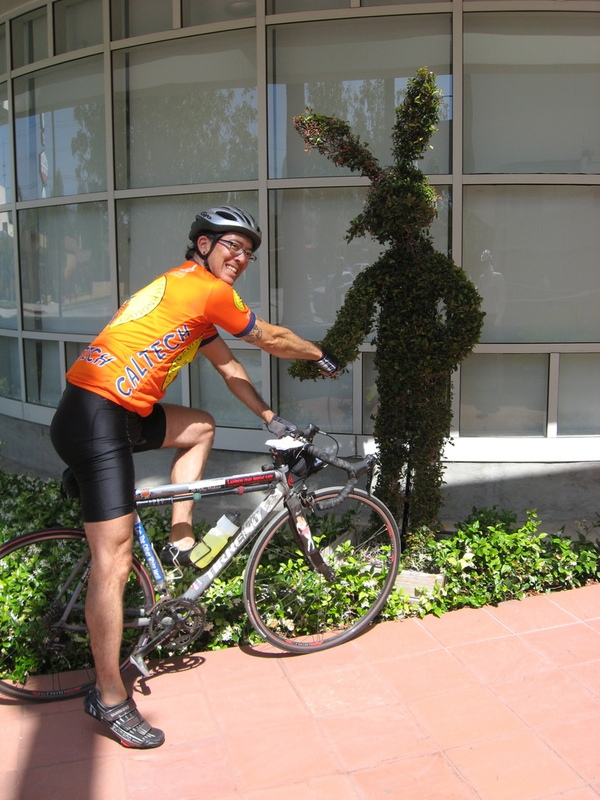 Our next stop was a topiary Bugs Bunny in Toluca Lake. Then we stopped for snack at Priscilla’s. That left only one more topiary stop, which was the dolphins that we’d found in March. I had to get a souvenir picture riding the dolphin. 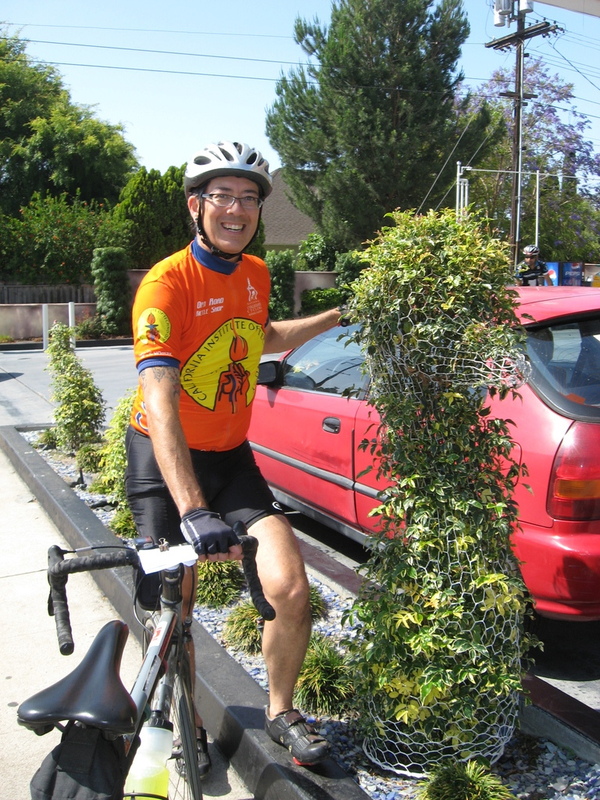 After that, we headed home, but on the way back through La Cañada, Don spotted one more in front of a house on Berkshire Drive. That made for a nice end to our Topiary Tour. On Monday, I was just poking around the net looking to see if there were any good movies that Kathleen and I could go see on Tuesday night. 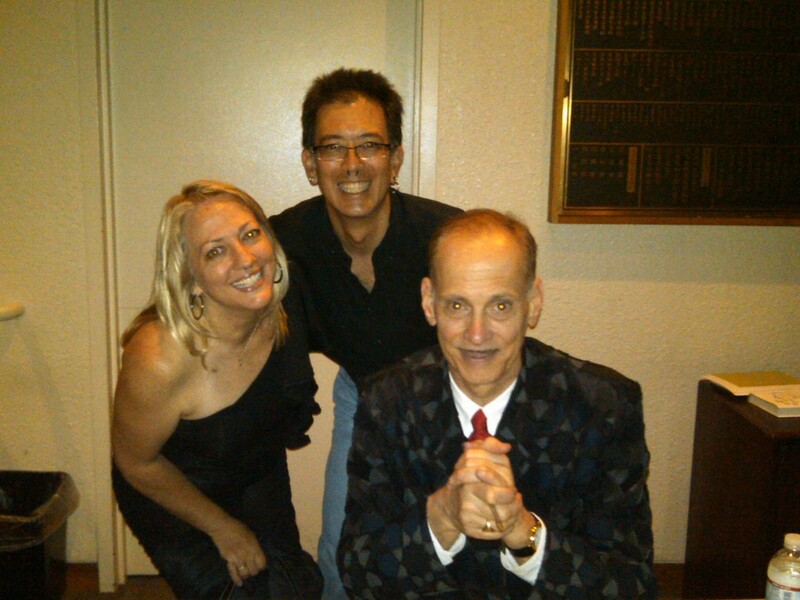 And I spotted John Waters in a banner ad on the L.A. Weekly site. We’re both big fans of his, so I had a look. It turned out he was speaking and doing a book signing at a theater in Little Tokyo. So we just had to go. On my way home from work, I stopped at Vroman’s in Pasadena and picked up his new book, Role Models. I rode the train downtown, since the theater is just two blocks from the Little Tokyo station. On the way I got to read the first chapter of the book, where he talks about how he likes Johnny Mathis. As I suspected, it was hilarious. When I got there, I met up with Kathleen, who drove in from the Valley. We went and had a quick dinner around the corner. Then we went over to the theater. We saw my friend Sherri and her friend there, and the four of us went in. John Waters came out and read three short excerpts from his book, and then he sat down to talk with Carrie Fisher. 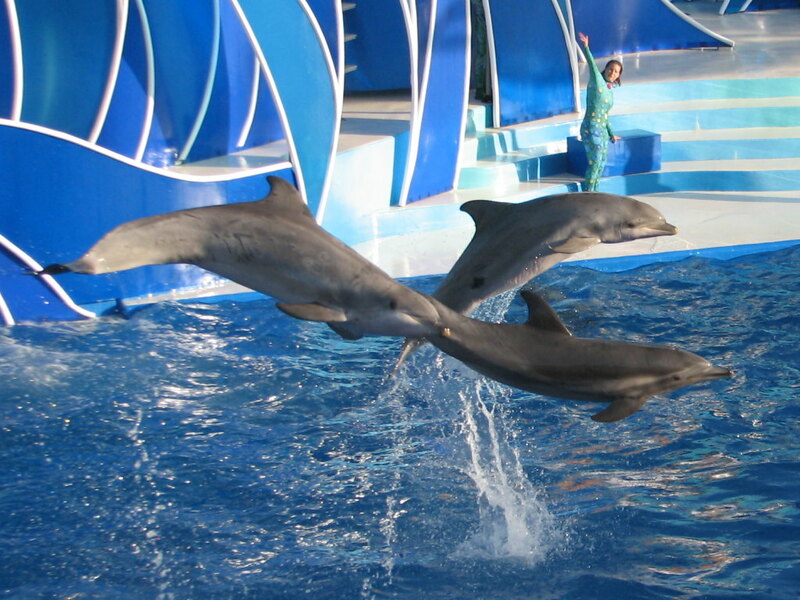 They were very entertaining and funny, and it was all well-worth the trip. Afterward, he greeted fans and signed books in the lobby. Overall, it was a most excellent weeknight adventure. Last December, when we rode to see the Never Open Store, we stopped to see the House of Davids. 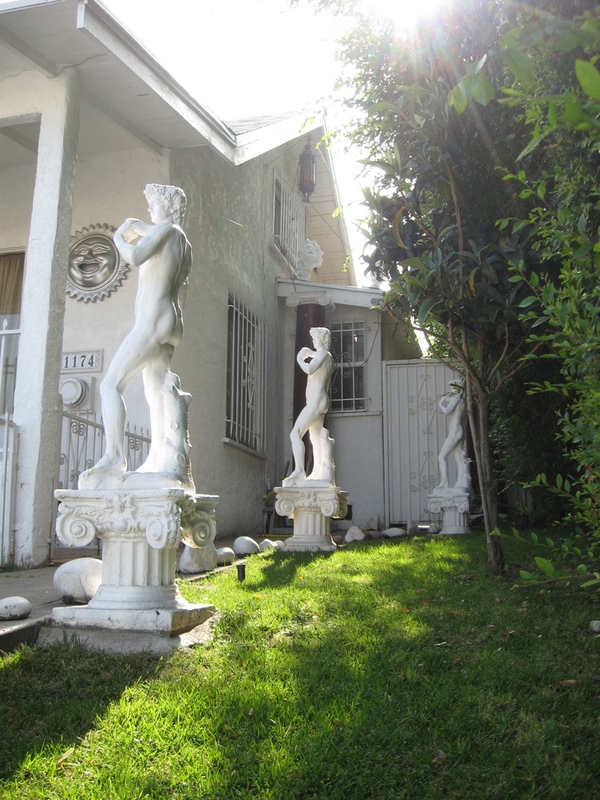 I recently read about another house near there that had some similar over-the-top lawn ornamentation. So a theme was born. 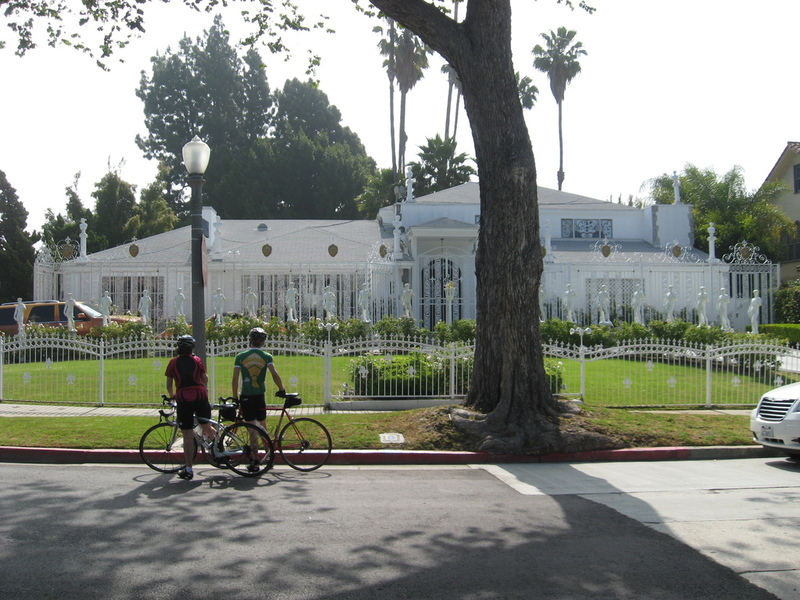 Today’s ride was to Hollywood and Hancock Park in Los Angeles to see these two houses, as well as Snow White’s wishing well on Larchmont Blvd. The route out was pretty straightforward. 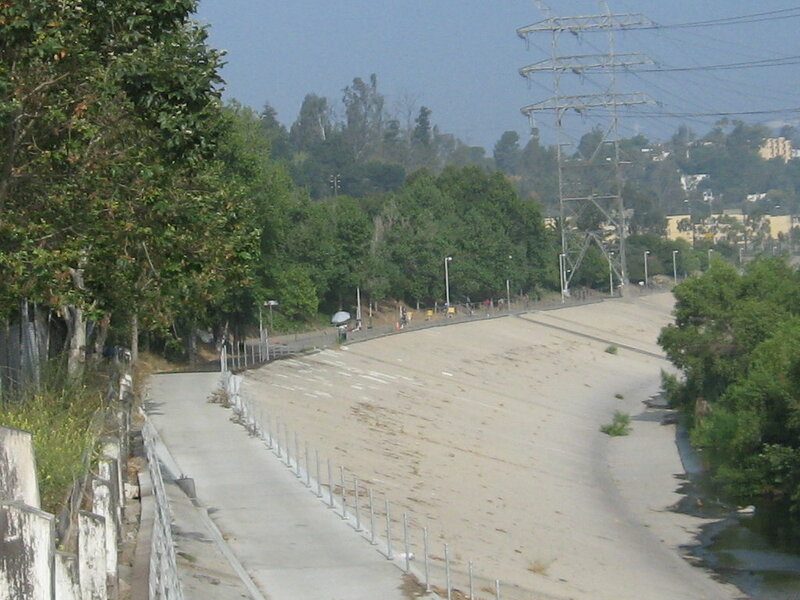 We saw the L.A. River Ride crossing over Fletcher Dr when we crossed the river. Then we rode into Silver Lake. 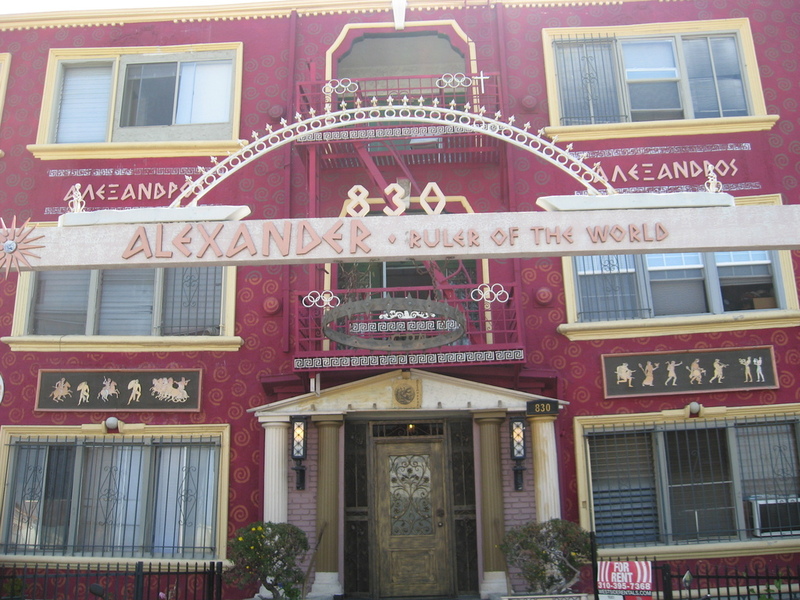 The first house was on the east end of Hollywood on Virgil Ave. And yes, the decorations were pretty over-the-top. 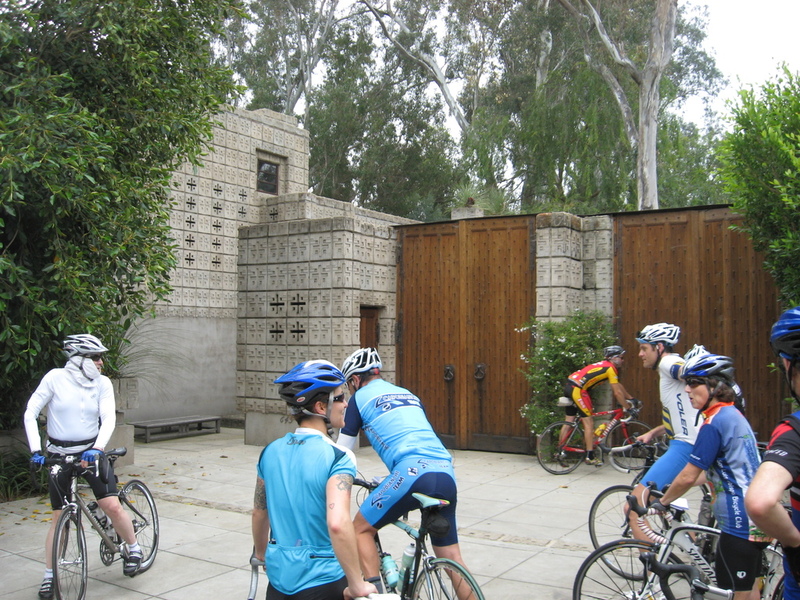 Then we continued on south to go to Hancock Park and the House of Davids. Then it was just a short distance back to Larchmont. 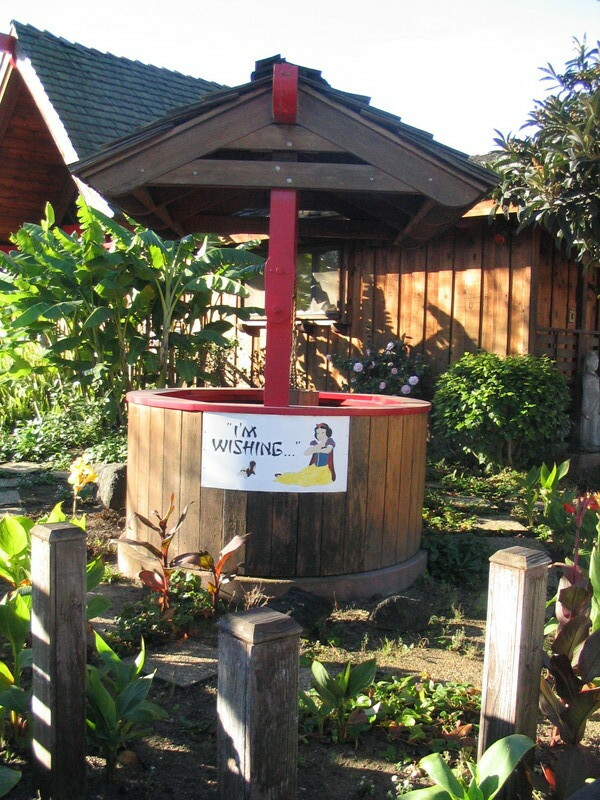 It appears that Adrianna Caselotti’s house has changed hands, and the new owners took down the picture of Snow White on the wishing well. We stopped for bagels at Noah’s in Larchmont. Then we headed north through Hollywood and then back home by way of Eagle Rock. It was a year ago today that I got my new car. At the time, I was anticipating doing a fair bit more driving than in the past, between having to ferry Lucinda around to her activities and also heading out into the dating world. The days when I could drive my car less than 1,000 miles in a year are gone. 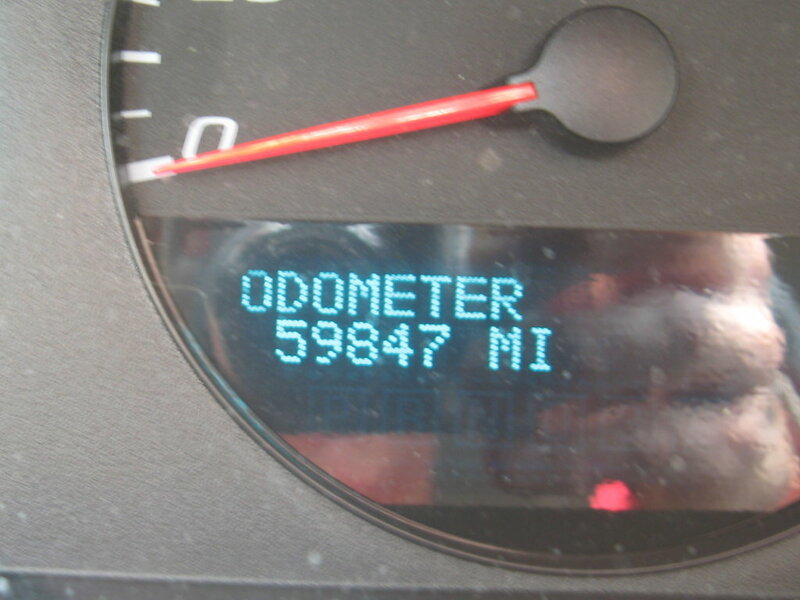 My hope for this year was that I could keep it under 10,000 miles. It’s not likely to get better any time soon, since I have a kid going into middle school and a girlfriend who lives out in the San Fernando Valley. The final tally was 9,979 miles for the year. I made my goal, but just barely.